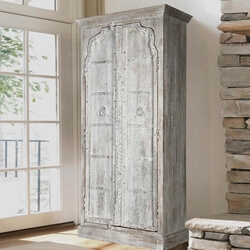 Live like a king or queen with all the storage you need with our Diamond Gothic Distressed Solid Mango & Reclaimed Wood Large Armoire. 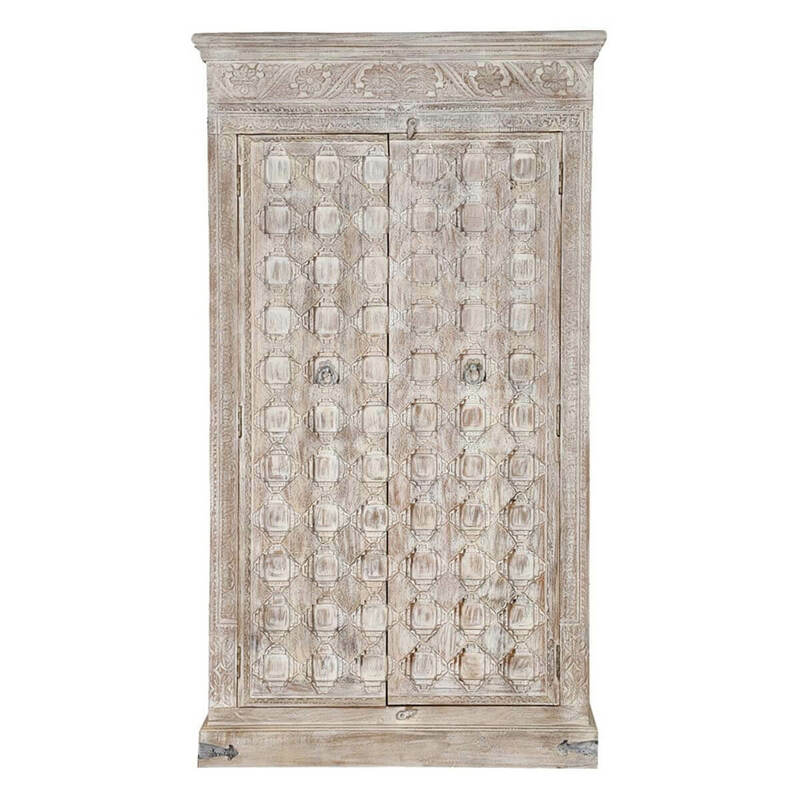 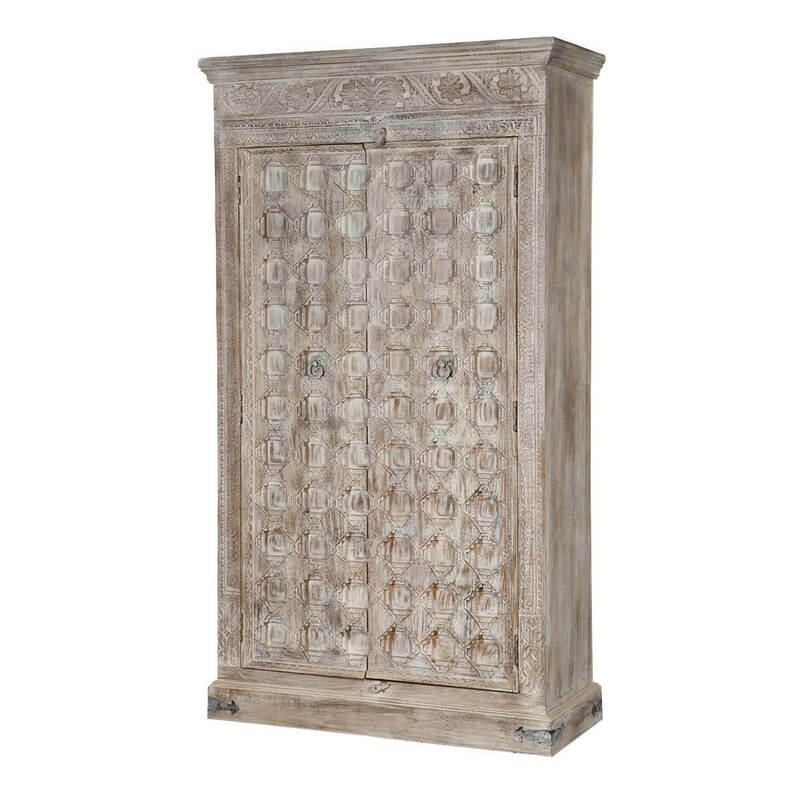 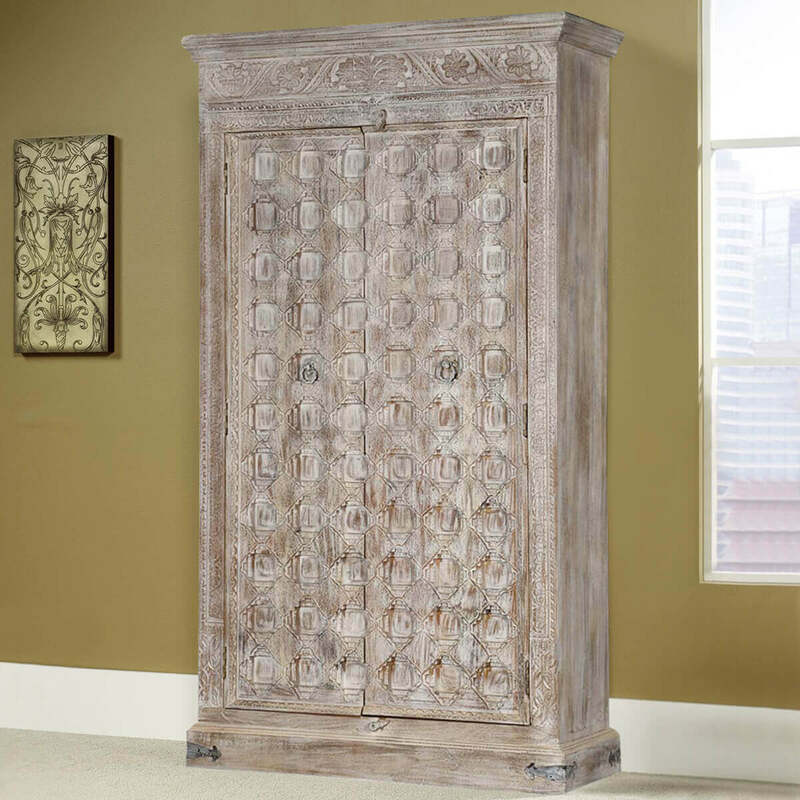 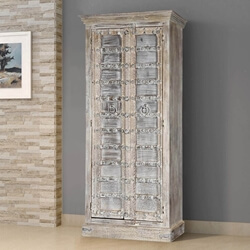 This tall and large armoire cabinet sits on a simple frame base. 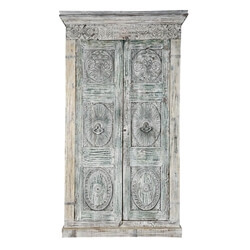 The double doors are reclaimed wood and feature an intricate hand carved diamond designs throughout. 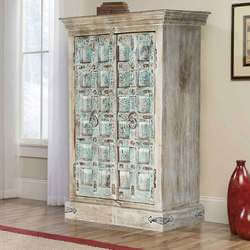 You’ll also discover hand carved details on the top and along the edges. 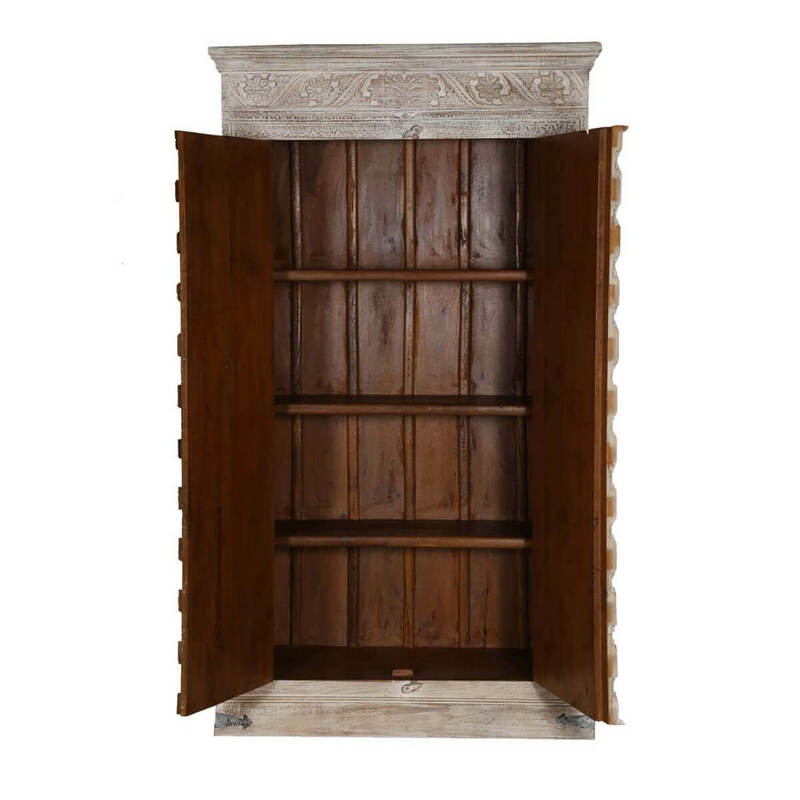 The cabinet armoire has a fully finished interior with four large shelves to store all your folded laundry, linens, duvets or even books. 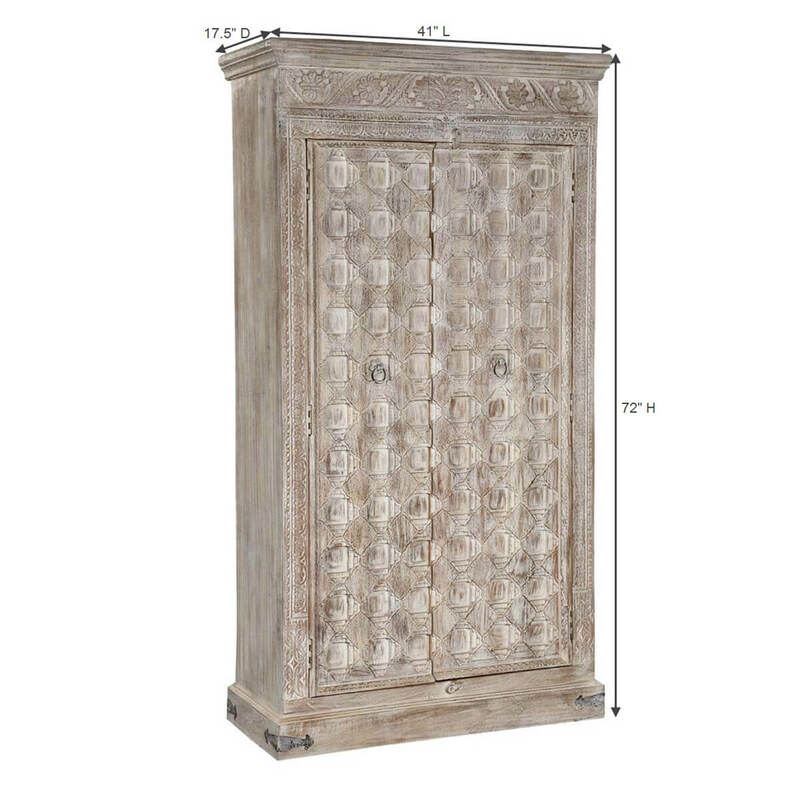 Our freestanding armoire cabinet is as big as a closet but you can move it wherever you need it. 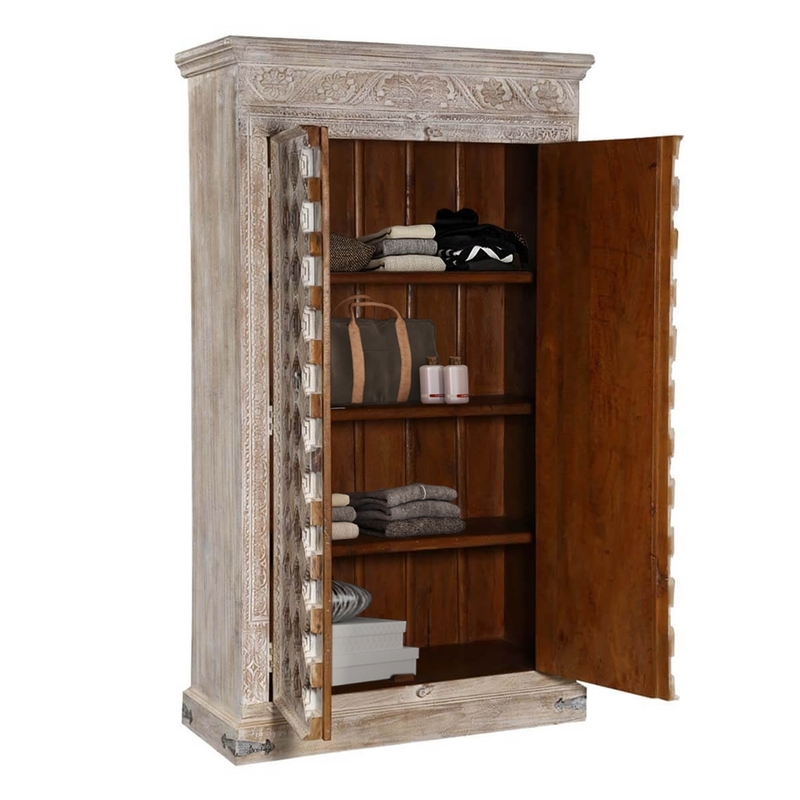 The cabinet frame and shelves are built with solid Mango wood, a tropical hardwood grown as a renewable crop while the doors are made of solid reclaimed wood.